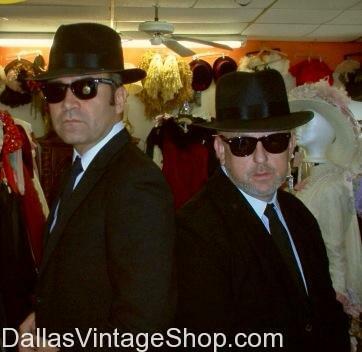 We have men’s black suits and ties that are perfect for Blues Brothers Movie Costumes or loose the hats and use for 1990’s Theme Party Movie, Men in Black Costumes. We have Vintage Attire and Costumes for any decade or movie characters imaginable. You are in Men in Black category.